Ross E. Girton was born February 11, 1932, at Delphos, Kansas, to Clarence Everett and Christie Olive (Pinney) Girton. The first born child was brother, Everett, next came the twins, Russ who said, “ he didn’t stay in as long as Ross for the perm”, then sister, Iliene, and the youngest sister, Judy. He graduated from Tescott High School with the class of 1950. He enlisted in the Naval Reserve in 1951, and went into active service the later part of 1953. He served on the USS Boxer Fleet in Moffett Field, California. He served six years. He went to work at Beech while living in Council Grove, and once he completed Barber College in Wichita, he worked briefly as a barber in Council Grove, moving to Herington in 1955, and set up shop with Clayton Nelson. He was a barber for 56 years retiring from Ross Barber Shop, in 2016. He was a member of the First Baptist Church; Dix Day Post #1281, VFW; a past commander of Carey R. McClaren, Post#12, American Legion; past master of Kansas Lodge #307, past high priest Kansas Chapter #73; past commander of Herington Commandery #33; past president of Tri- County Shrine Club all of Herington, and served on the chain gang of the high school football games for many years. He was a member of the Herington Country Club. He was a regular on the golf course during the summer months playing weekly with his buddies Shorty Ferrell, Clayton Strome, and George Rogers, on Monday, his day off. He married Rosetta M. Sorenson, June 2, 1951, at Denmark, Kansas. They made their home in Herington in 1955. They were the parents of Crisetta, Kelly, and Holly. They were also foster parents for more than thirty years caring for nearly sixty children. He is preceded in death by his brother, Everett; twin brother, Russ; son-in-law, Jim Middleton; and his parents. He leaves to mourn his wife, Rosy of Enterprise; son, Kelly Girton (wife-Elaine) of Sabetha; two daughters, Crisetta Middleton of Hope, Holly Daniel (husband-Tony) of Allen, Texas; two sisters, Iliene Smither of Harrisonville, Missouri, Judy Graf of Bassett, Nebraska; 2 sister-in-laws, Donna Girton of Clay Center, Arlene Girton of Moundridge; six grandchildren,Tina Lauxman (husband-Aaron), Todd Middleton and wife, Kristina Middleton, Eric Girton (wife-Michele), Brad Girton (wife-Krystal), Laura Thompson (husband-Jeff); 7 great grandchildren, Henry and Vivian Girton, Ava Thompson, Alissa Emery (husband-Tyler), Brian Lauxman, Nicole Middleton, little Todd Middleton; and a great great grandchild, Amelia. 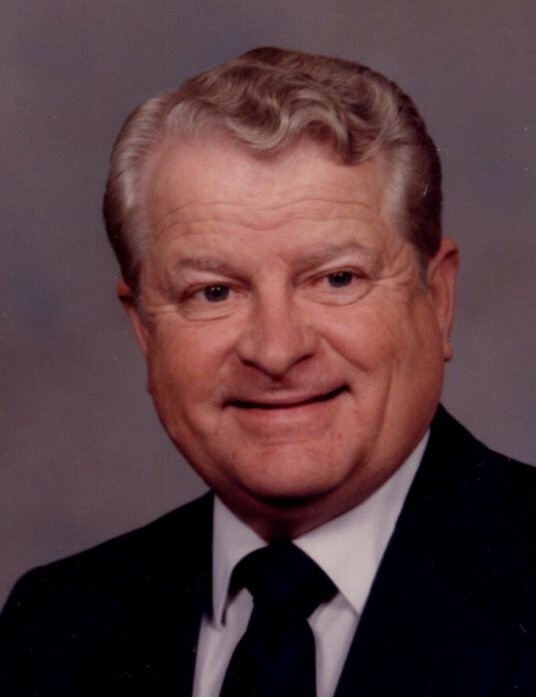 The funeral will be held at the Zeiner Funeral Home-Herington, on Saturday, April 20, 2019, at 10:30am, Pastor Darrell Geist, officiating, with military rites following at Sunset Hill Cemetery. Visitation will be Friday, April 19, 2019, 6:30 – 8:00pm, at Zeiner Funeral Home-Herington. Memorial gifts are to First Baptist Church or Hospice of Dickinson County; and they may be sent in care of Zeiner Funeral Home, 404 S Broadway, Herington, KS 67449. There's still time to send flowers to the Visitation with the Family at the Zeiner Funeral Home - Herington Chapel from 6:30 PM to 8:00 PM on April 19, 2019.